Emily found Parklife Press through the wedding-planning site Snippet and Ink. A librarian and archivist by trade ("I totally geek out for all things paper"), she loved the idea of of letterpress for their invites. She also loved the simplicity of the Bookplate design in particular. She felt the painted edges were "an amazing, thoughtful touch," and that the look "really conveyed everything I wanted our wedding day to be." 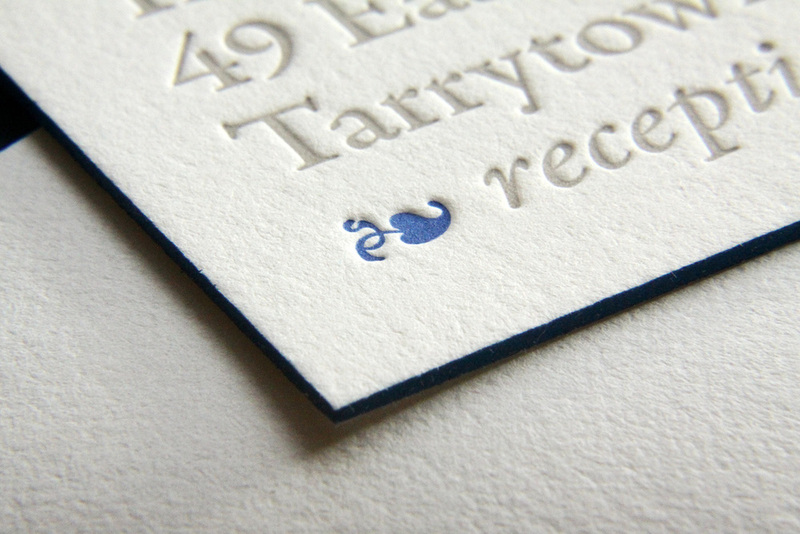 The invitation set featured a simple, text-based design which was printed in the dust ink, with azure accents. The couple carried the dust and azure colors through to the rest of the wedding. One of the bridesmaids, a graphic designer, created programs and menus using the same color scheme. And the bridal party members all were garbed in shades of blue, including the bride — her gown was a very pale tint of their signature color. Emily adds that she and Sean got "about a billion" compliments on the invitation. "I have a copy of it framed in our apartment. Every time I see it, I get a thrill." 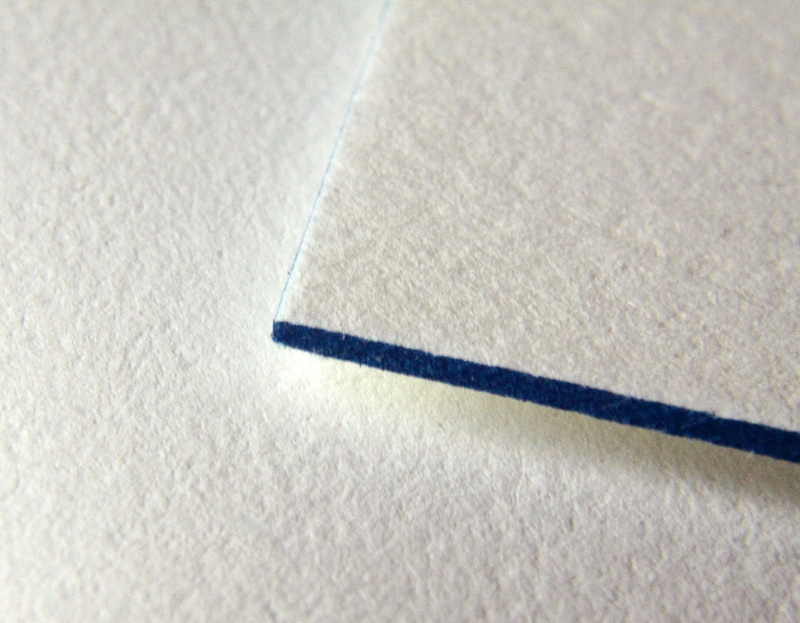 Posted in wedding invitations and tagged with pearl white, 600g, envelope liner, dust, azure. April 22, 2013 by Sarah Arneson.